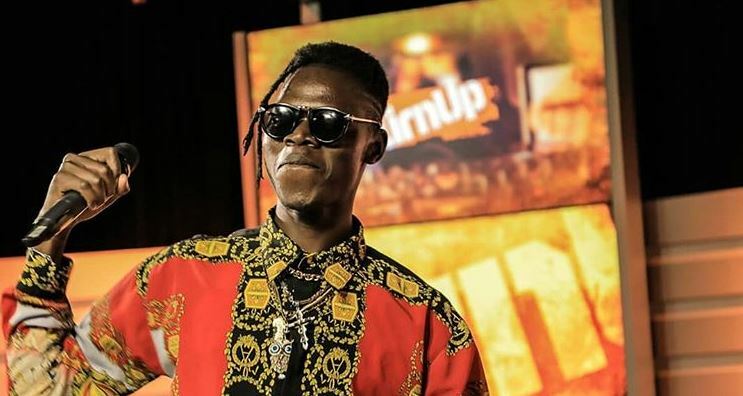 Self-proclaimed Afrorap magician Vicmass Luodollar has weighed in on the topic of buying YouTube views, saying it is a common practice among hitmakers both locally and internationally. This comes amid controversy over Octo’s latest release, Oliel, which garnered over 1 million views in one day, despite Octo having only 66,000 subscribers. Speaking to Word Is, Luodollar said: “If buying views will put food on his table, then I don’t have a problem with that. Every artiste is buying views, from Nicki Minaj to Jay Z and the rest. “It is not new to us. There is a lot people are doing outside here, so let us focus on our circle and leave the rest to the people who are concerned,” he said, adding, “Nikiona mtu amevaa nguo, sitaki kujua kama ameomba ama ni yake. “The same way, if I see someone with a million views per day, I don’t want to know if they bought [them] because those people who are not in the country will not know if they are bought or not,” explained Vicmass. Asked if he would buy views, the ‘Bank Otuch’ rapper said: “I wouldn’t buy views and that is why it took me 10 years to build my brand and there is no one who doesn’t know I can deliver and that is what will sell my music. It is my work to build myself from the mistakes I make rather than lying to myself that I am dope while I am not. I will never buy views. Vicmass is currently riding high with two new jams Ongiri and Chamuma ahead of his forthcoming EP record produced by Major Static.